The days preceding the 5th Bloggers United bazaar went by real slow for me as I was practically a walking zombie each night thanks to work, seminars and then gigs at night. Each time I checked Twitter I grew more anxious since every other blogger participating kept tweeting about preparations and getting all excited, while I was in my growing bubble of stress trying not to burn out and develop spots overnight. As with any other hectic week I ended up scrambling to the nearest Topshop outlet the night before to look for something decent to wear for Saturday. I didn't feel like showing so much skin since I wasn't feeling my best, so I opted to get something really versatile. I think I get the badge of procrastination for also preparing my BU5 merch exactly 5 hours before heading to the venue. Like most girls, I think I will always have a corner of my closet for Topshop since they always come up with clothes that are super trendy but of good quality. I rarely say that about most chain stores nowadays, but I think I will always go back to Topshop even if my aesthetic changes because it's not at all disposable. This jacket instantly got my attention because I know olive goes well with my skin's undertone and my darker hair colour, plus I am a sucker for outerwear. I can have a pool of basic tank tops, leggings, bodycon skirts and jeans but I try to update my look with coats, blazers, or any other form of outerwear. For BU5 I wanted to lean towards an urban-eclectic outfit... Actually, that is just a fancier way of admitting that I was too indecisive about what to wear again. I end up liking my outfits more when I really don't prepare for it anyway, so I figured I was going to come up with something on the day of the bazaar. I paired it with my comfiest pair of studded Doc Martens and a printed romper from Zara since I knew it was going to be a long, tortuous day physically, but as with all my other BU experiences I was expecting it to be ultimately rewarding. There's no better way to get rid of the more flashy items in my closet (the basics/practical ones are donated) other than selling them for cheap (my clothes went as far as Php 20.00) while meeting lovely readers and bloggers! I can't really express how thankful I am to be in this community. The most important part of blogging for me is being able to share and document the things in my life that I would like to look back on, but I'm grateful that there are some people out there who think my opinions matter and trust me for recommendations on random things. 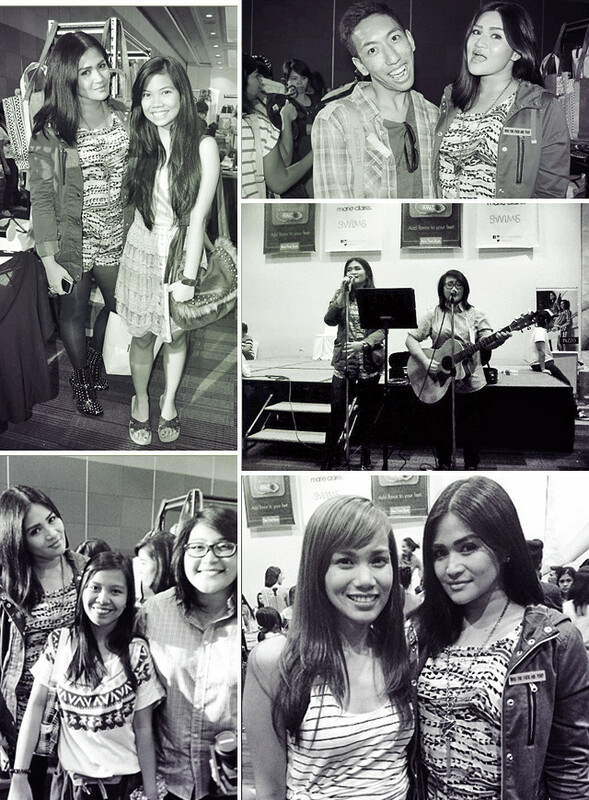 I will never get tired of meeting those people at the Bloggers United bazaars, they're always so sweet! A big THANK YOU to you guys! Grabbed some photos from Twitter & Instagram. Thanks to those who tagged me! 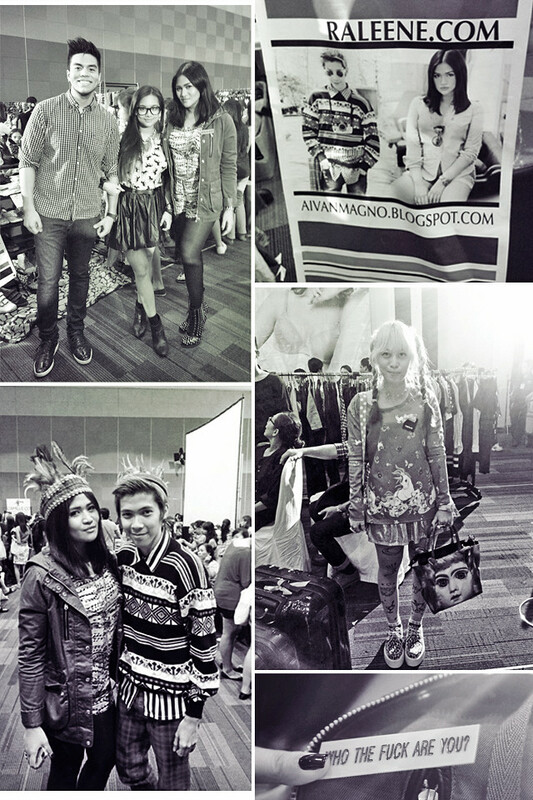 Topshop is located at the ground floor of Ayala Center Cebu and has 10 other branches all over Metro Manila. Get updated with the latest trends and exciting promotions by liking their Facebook page or by following them on Twitter and on Instagram.